For the past few weeks, I have been reading presidential speeches. If you want inspiration at a time when – as many claim – spirit regarding politics is at a low point, I encourage you to read presidential speeches. Many of these addresses were given in times of great need, heartache, danger or fear. The leader's voice comes through in these speeches as a leader of the many. This theme is constant in all of the speeches that I have read – the reinforcement that we are a unified peoples. The Great Seal of the United States of America still reads: e pluribus unum. Out of one, many. In De Offficiis, Cicero writes, “Nothing, moreover, is more conducive to love and intimacy than compatibility of character in good men; for when two people have the same ideals and the same tastes, it is a natural consequence that each loves the other as himself; and the result is, as Pythagoras requires of ideal friendship, that several are united in one.”(1) And much moreso when we are speaking of nations. Maintaining unity and friendship is much more complicated than it would appear. Constant pressures and changes affect every citizen in a variety of ways, independent of the events themselves. Perhaps this is the reason for the repeated emphasis upon the idea of unity as it pertains to the United States of America. Though President Eisenhower changed the motto to In God We Trust in 1956, unity must be on the minds of most Americans as well. A Google search for “e pluribus unum” yields innumerable projects, businesses and technologies. What do all of these projects have in common? How do a many become a one? What is unity, singularity and why do we continue to rely on the evasive structure provided by this Latin phrase? This phrase founds businesses as diverse as a tattoo artist, construction company, and even one artist's project dedicated toward understanding a nation within a nation. That we need to come together has never been questioned, but how to create unity is always in doubt. “Down the long lane of history yet to be written, America knows that this world of ours, ever growing smaller, must avoid becoming a community of dreadful fear and hate, and be instead, a proud confederation of mutual trust and respect. “Such a confederation must be one of equals. The weakest must come to the conference table with the same confidence as do we, protected as we are by our moral, economic, and military strength. That table, though scarred by many past frustrations, cannot be abandoned for the certain agony of the battlefield. “Disarmament, with mutual honor and confidence, is a continuing imperative. Together we must learn how to compose differences, not with arms, but with intellect and decent purpose.” (Watch the entire speech here). I am drawn to the complex idea of unity that Eisenhower presents in this speech. At once he discusses the vast global changes, changes in technology and access to the world, and also to our own specific American identity within that globe. There is fear. There is pride. There is hope. But he also expresses great sadness. I think that all peoples can identify with these emotions as some sort of foundations of being itself. As President in a time following war and also internal social struggles, Eisenhower's speech shows both wisdom and an informed perspective. It is only one of ten speeches that we will read for Harrison Middleton University's upcoming October Quarterly Discussion. Each speech discusses values and principles that are intended to unite a mass of unique individuals and inspire all of us with a sense of nation and self. We look forward to discussing values, identity, unity, and more with you. To join the conversation, email asimon@hmu.edu . In “Meno”, Socrates and Meno attempt to define virtue. Here is Meno's first attempt: “Let us take the first virtue of a man – he should know how to administer the state, and in the administration of it to benefit his friends and harm his enemies and he must also be careful not to suffer harm himself. A woman's virtue, if you wish to know about that, may also be easily described: her duty is to order her house, and keep what is indoors, and obey her husband. Every age, every condition of life, young or old, male or female, bond or free, has a different virtue: there are virtues numberless, and no lack of definitions for them; for virtue is relative to the actions and ages of each of us in all that we do.” In the end, this dialogue never does define virtue specifically, but discusses the way that it acts within society. They do decide that there is an element of knowledge or education in virtue. However, they decide that virtue cannot be delivered solely by education due to the fact that virtuous parents do not have virtuous children. “Protagoras” also discusses the idea of virtue in another attempt to define it. In this dialogue, Protagoras and Socrates decide that virtue is composed of justice, temperance and holiness, and also includes wisdom and courage. They continue to list these as parts of virtue. Therefore, the reader is still left without an understanding of virtue as one complete entity. Socrates makes an argument that virtue is habitual, but Protagoras believes it is more likely a teachable knowledge. In the end, Protagoras and Socrates end up on opposite sides of the question from where they started. Protagoras unwillingly admits that there is an indemonstrable element of virtue, whereas Socrates wants to prove that it is teachable. They do agree, however, that virtue is necessary for a good life, and that is where the conversation ends. 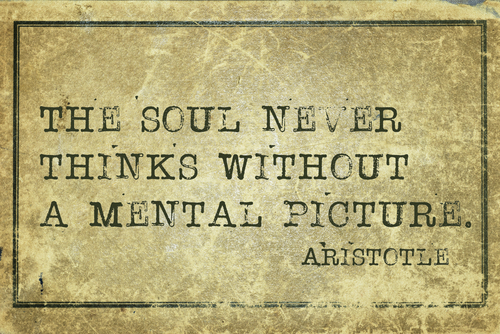 Aristotle, also, struggles to define virtue. Aristotle places wisdom, prudence, art, science and “intuitive reason” under virtue's umbrella. However, he asserts that virtues such as art and science do not solely belong, but can exist apart from virtue. He claims that virtues depend upon common prudence. It is difficult to define, however, what common prudence. Also difficult to answer is who or what generates it. Is prudence granted by God? Is it driven by custom and society? Or is it an internal register? For Aristotle, virtue is a mean between two vices. For example, a miser sits on one side of the line with greed at the opposite end and virtue in between. Francis Bacon may agree with the idea of virtue being on a continuum. Bacon indicates that both nature and education play a part in the understanding of virtue as it may lead to vice. He writes, “[T]he minds of all men are at some times in a state more perfect, and at other times in a state more depraved.” However, Bacon believes that through education, man may lift himself (or keep himself constantly pointed towards) virtuous behavior. He alludes to this same principle when he writes of Psalm 61 which shows that measure is better than excess. The Psalm reads: “If riches fly to thee, set not they heart upon them”. Bacon interprets the riches as a luxury, but not a necessity. For him, it is important to know what one requires, versus what excesses can be enjoyed responsibly. There is an interesting dialogue between Aristotle and Bacon regarding the metaphysical aspect of virtue. Whether or not virtue comes from God is unknowable, but both Bacon and Aristotle separate out human versus deity. In Advancement of Learning, Bacon notes that charity fastens together all virtue – he calls it the “bond of perfection”. He separates the body from the mind in the same manner that he separates God's goodness and love from man's. Hegel, too, investigates this idea of virtue as it plays out on the stage of world history. His universal view is unique and offers insight into the way that virtue may grow or change with time and civilization. For example, he notes a few great men who exemplify virtue when they stand apart from their time. They were larger than their immediate reality. In the “Philosophy of History”, he writes of Socrates that, “Though Socrates himself continued to perform his duties as a citizen, it was not the actual state and its religion, but the world of thought that was his true home.” In other words, Socrates outgrew the physicality of the state, and Hegel labels this as part of his virtue. He calls these larger-than-life individuals “world-historical individuals” and in them Hegel identifies the principle of his universal spirit. Ironically, Hegel's logic behind the universal spirit depends upon the build-up of individual virtue at the same time that it ignores individual virtues. He believes that individuals know what is right and good, and someone without this moral register has an idle mind and a feeble will. State laws direct should suffice for an understanding of virtue in context of a particular society's rules. This character does not interest Hegel. Instead, he looks to those who acted against or beyond accepted moral standards as a historical figure who identifies a rupture of universal (“essential”) virtue with the local, societally structured version of virtue. For example, he describes Caesar's actions as “an unconscious impulse that occasioned the accomplishment of that for which the time was ripe”. For Hegel, then, individuals maintain any number of virtues, but universal virtue is singular, one entity united in a complex, but seemingly random pattern composed of the accumulation of virtuous individuals across time and civilization. Virtue is an endlessly interesting topic. For more information on virtue, check out the References and Cross-References sections listed under the idea of "Virtue and Vice" in the Syntopicon. It is one of the most popular ideas and intersects with many other great ideas. Also, continue to check in with the blog in the next couple of months as we will continue to develop an understanding of virtue.